I have found the information on your blog very helpful. Thank you. I just wanted to ask you, almost every niche I look at, there is someone selling things cheap from China. How do I overcome that? When I do market search, I almost always ignore Chinese sellers! 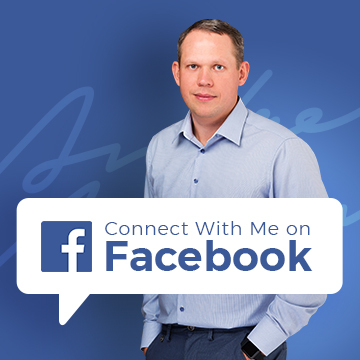 YES, I ignore them… as really they’re not actually even your competitors (apart from in a few, very specific niches). You see? They’re really not in the best position to start with and the ONLY real advantage they have over UK sellers is usually PRICE! Obviously, there are people who go for the lowest price no matter what. But I feel that this trend is slowly dying out on eBay – at least when it comes to China based sellers. Yes, buyers will usually pick the cheapest UK seller BUT when it comes to buying from Chinese sellers, they’ll think twice before hitting that buy now button. Is it really worth waiting several weeks for this product just to save a few quid? Will the product be up to the highest standard in terms of quality? What happens if I don’t like it? Can I send it back? How much will that cost? These are just a few of the questions buyers ask themselves when looking at a listing on eBay UK from a seller based in China. So the only real downside for you compared to a Chinese seller is THE PRICE, which in most cases you won’t be able to compete with…. but so what? If you can’t compete on price with Chinese sellers, you can’t – so just don’t think about it! You won’t attract all the bargain hunters looking for the lowest price, but that really doesn’t matter – you can still compete and make plenty of sales with people who by default try to avoid ordering from overseas sellers on eBay UK, just to avoid all the extra problems that entails. As I said in the beginning, I don’t even consider Chinese sellers to be competitors! And you should do the same – concentrate on your strengths and just make sure you’re BETTER in every other aspect of your business! If you do this, many people will buy from you even if your price is significantly higher compared to China based sellers. Great product listings with great descriptions and lots of high quality pictures! Feature in the listing the fact that you’re UK based and offer top level customer service with email / phone support (graphical icons / banners work best for this)! Offer a full 2 year warranty (as per EU law on most items). Make your returns policy as simple and hassle free as possible. If you do all of this, you’ll definitely stand out from Chinese listings and people WILL buy from you. Previously, many UK sellers used Gallery images to add flags that clearly illustrate they’re UK based. Lately it wasn’t working that well though as everyone started using these (even Chinese sellers, believe it or not!) and search results started to look like one big carnival. So considering this, I actually supported eBay’s recently launched gallery image rules. But the gallery image is not the only place where you can feature such pictures! You still have plenty of other images in your listing! Why not use them and add watermarks of your logo + UK flag to them? This will instantly show your potential customers your location and what they can expect from you. This works wonders! Who wants to buy a cheap, low quality imitation? No one! The price at this point becomes secondary. The same can be applied to licensed items – if you sell genuine originals, make sure you have a similar statement / banner in your listings that informs your potential customers that items coming from China will be low quality FAKES! To sum it up – don’t over-think Chinese competitors and just do the best you can with your listings, keeping in mind the few tips I have mentioned in this post. These are just the first few items that came to my mind but there are many more. 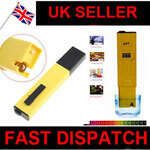 I’m talking about items that are being sold for £0.99 or £1.99, often with free shipping. That’s not a business you want to be in! If you want to sell mobile phone cases, pick higher-end lines and more expensive styles that sell for 10, 20 or 30 quid. Then you won’t have to compete with Chinese sellers at all as most of them concentrate on very cheap items. Also, an item’s size and weight also plays a part in this. Most China based sellers only sell small / lightweight items that they can cheaply post via China mail or HK Airmail. Very rarely will you see any Chinese sellers for items that weigh above 2kg (as that’s AirMail’s weight limit per package). So, if you’re totally paranoid about competition from China, pick a niche with bulkier / heavier items and then you’ll almost completely eliminate this problem. Lastly, remember, eBay is just the beginning phase of your online business. When you’re all set-up on eBay, you should expand to Amazon and an eCommerce store on your own website. And this is where you’ll face very little competition from Chinese sellers. Even if you can’t write in English, you can hire a native writer on Upwork or even on Fiverr to get your product descriptions done. Based on this post is right to assume that you only look at data on UK sellers when doing research on Terapeak? In fact, you shouldn’t use UK seller filter at all in Terapeak as for some reason it makes sell through rate to 100% (whatever you search for). Hi Andrew I know this is an old discussion but in my opinion the problem of UK based Chinese fulfilment houses is getting worse all the time. While I agree with your technique for beating this problem (Bulkier items etc) Startup sellers like myself (although I’ve been doing it for a year) are often buying low cost items like phone cases from china (I buy about 500-1000 each item) because we have to start somewhere and also have to factor in loss leaders etc. Its disappointing after all the hard work involved and I presume ebay UK originally relied on all the genuine UK sellers to build Ebay to what it is now, but in my opinion are now insulting that relationship by allowing this problem to get worse. Just my opinion Andrew but it is so frustrating and ebay sales are so up and down for me that I’m thinking of giving up. But personally I don’t like to just sit and wait for a problem to resolve – I like to find solutions and fix the problem or at least create a work around for the problem. And this definitely means that you have to be smarter than Chinese sellers nowadays to compete on eBay. And if you say you’re selling phone cases (or similar items), maybe you simply shouldn’t? I mean, these niches are extremely competitive even without Chinese sellers, why would you want to deal with them anyway? There are tens of thousands of products you can sell on eBay. Don’t sell ones that are not profitable. I’m gonna have to use my terapeak subscription properly and get into better niches with, as you say less competition/better margins. I suppose I have to treat this as a learning curve, I have had the cases on the second page several times even with all that competition so I suppose that should give me confidence for higher margin/investment items. Yes, absolutely! Look into more niches as not all are so saturated as phone covers and similar items. All this is good advice, but you seem to be over looking the fact that many of these Chinese sellers are making out that they are based in the UK. Only when you place the order do you find that it’s being shipped from China. This is hurting many genuine UK sellers who just can’t compete with their prices. as they won’t be paying any VAT etc. 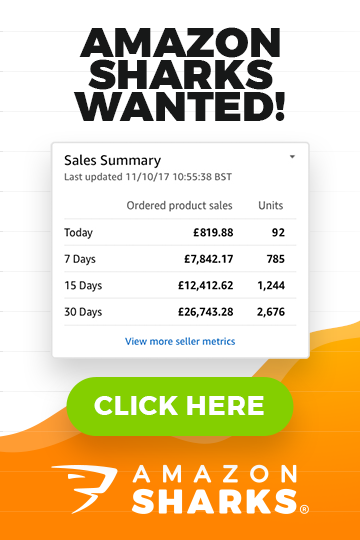 After investigating some products to import and sell here in the UK, we found that we the items were being sold on ebay for less than we could import wholesale! ebay should stop these sellers who are blatantly being dishonest to UK consumers, as to where these products are being shipped, and also cheating HMRC. Yes, that’s true – some % of Chinese sellers do exactly what you said. But many of them get banned sooner or later as their feedback is very bad. That is if they advertise stock being in UK and then send it from China. These sellers can’t contain good customer service and feedback. A much bigger problem is Chinese sellers who use UK based fulfilment houses…. They may get banned but they just set up with a different name. Having taken the time over the last few days, to source stock from alibaba, and then finding it advertised for less than I can ship it to the UK. I’ve decided not to go ahead and open an ebay shop. I think there is little or no profit in doing so, and unless ebay take this matter seriously, they will lose genuine UK sellers. I spoke to ebay UK on Friday about this matter, and they said they would investigate, but I guess they are not to concerned as they are still making money. chances are you’re looking at wrong items or simply not buying in true bulk. Importing from China is still the most profitable product sourcing concept and works for thousands of individuals and businesses in UK. Just look for different products and buy in true bulk. We still face the problem when those Chinese sellers use a UK based fulfilment and they then put the British flag on their listing saying UK stock. If stock is in UK, they can advertise it as UK stock. We may not like it but that’s business in 21st century where cross-country borders are long way gone…. Another thing though is that they’re not registered for VAT here as they should do – this is something HMRC and eBay should control and deal with to level out the playing field.